The Doorstop Upgrade adds features such as a post and a mating screw to improve on standard doorstops. The installer drills a hole through the receiving door, inserts the doorstop through one side and the mating screw through the other. 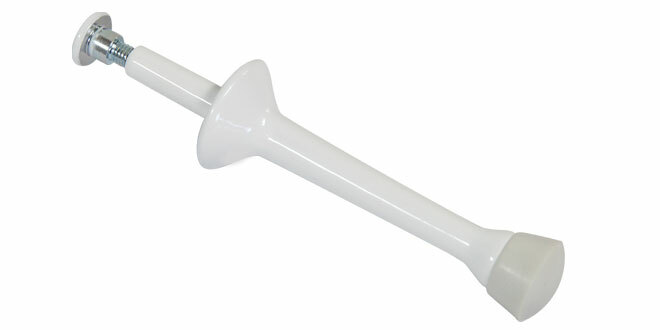 Unlike other doorstops that bend or come loose, this approach produces a superior assembly which significantly resists failure.